His Majesty King Hamad bin Isa Al Khalifa paid a visit to the Royal Bahraini Special Force. He was accompanied by Royal Guard Commander Brigadier Sheikh Nasser bin Hamad Al Khalifa and Royal Guard Special Force Commander Major Sheikh Khalid bin Hamad Al Khalifa. 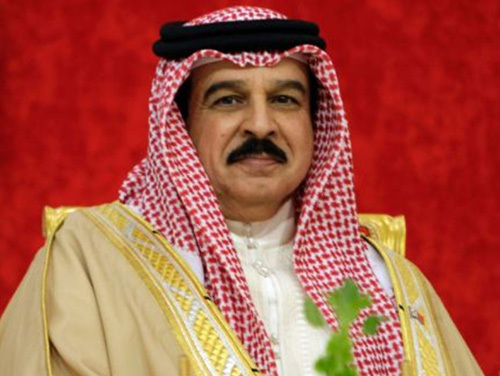 The King was welcomed on arrival by Chief of Staff of Bahrain Defense Force (BDF) Lieutenant General Dhiab bin Saqr Al Nuaimi, the Royal Special Force Commander and Officers, according to Bahrain News Agency (BNA). HM King Hamad paid tribute to the Royal Special Force personnel for their bravery, high morale and dedication in performing their duties. He praised the efforts of all BDF personnel, alongside their brethren in the Arab Coalition Force, in the Saudi-led Restoring Hope Operation. HM the King lauded their contribution to deterring terrorism, backing legitimacy in Yemen and providing humanitarian aid to the Yemeni people. He described them as the bulwark of the nation and its comprehensive growth, commending their strong patriotism. HM the King asked the Commander and Senior Officers of the Royal Special Force to convey his greetings to all personnel, wishing them constant success.